Bank stocks rose following news that the Federal Reserve had raised interest rates. The Federal Reserve voted to increase rates by 25 basis points, marking the sixth rate hike since 2015. Bank stocks were lifted by news that the Federal Reserve had raised rates yet again. 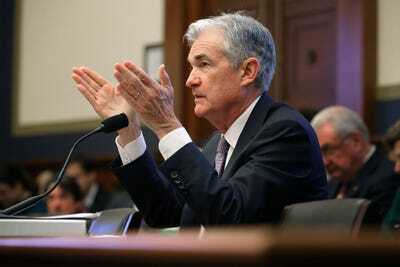 The Federal Reserve voted Wednesday to lift its federal funds rate by 25 basis points to a range of 1.50% to 1.75%. It marked the sixth time the Federal Open Market Committee has raised rates since 2015. The Fed also signalled that there are two more rate hikes on the horizon in 2018, and raised speculation that they may even consider a third. The KBW Bank Index, which measures major banks, rose 1.37% following the announcement. As interest rates go up, banks should be able to improve their net-interest margin, or the difference between their cost of funding and lending rates.